Simple but beautiful, this Denver Brushed Nickel and Black Table Lamp will make for a great addition to any home and is perfect for anyone who is looking for some extra stylish lighting for their table tops. Able to be placed amongst any style of interior due to its simple curve design and gorgeous brushed nickel and black finish. Designed as a table lamp, Denver Brushed Nickel and Black Table Lamp will look beautiful in any location within your home. 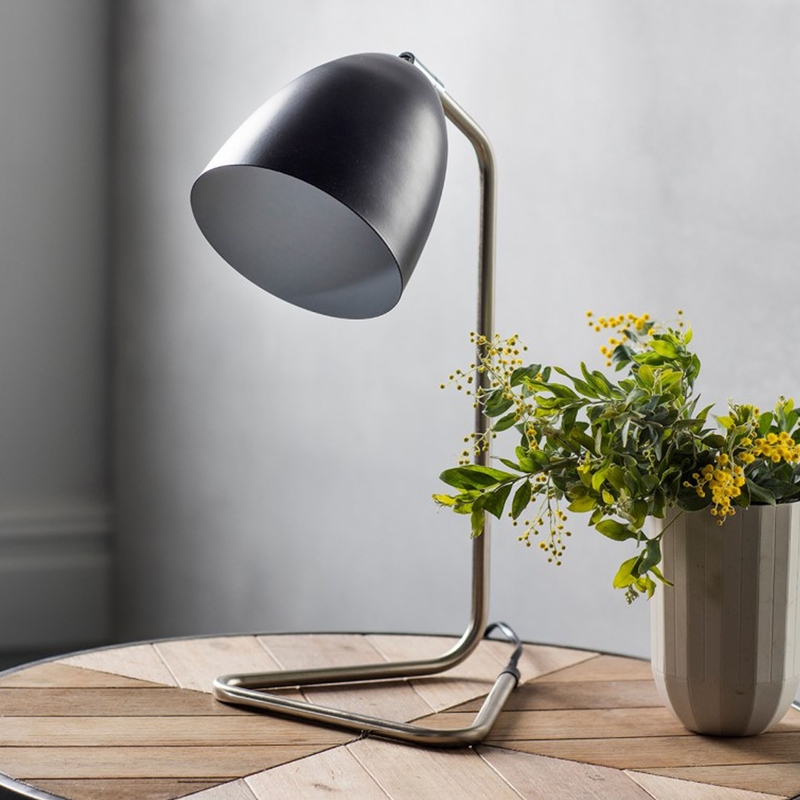 Made from only the highest quality of materials, just like all the products we have to offer at HomesDirect365 the Denver Brushed Nickel and Black Table Lamp has been built to last.